Do the Most Potato Sprouts Grow in the Light or in the Dark? Healthy green potato sprouts need light to grow properly. 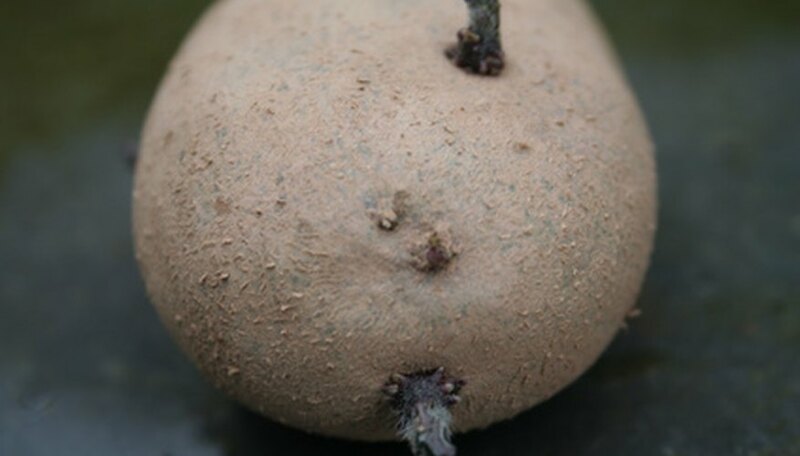 Potatoes that are left to sprout in the dark give off a white, unhealthy growth. The seed potatoes are pre sprouted 2 to 3 weeks before planting in the ground.